Russia's Soyuz MS-02 will launch to the International Space Station in September 2016. Roscosmos cosmonauts Sergey Ryzhikov and Andrei Borisenko and NASA astronaut Shane Kimbrough will join the Expedition 48/49 crew. 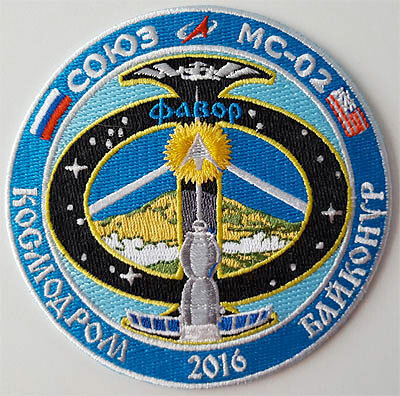 The Soyuz MS-02 crew patch was designed as a round shape, symbolizing the perfection of everything created in the universe. In the center of the emblem there is an image of the sacred Mount Tabor, located in the Holy Land. On top of the mountain is a source of light, symbolizing the sanctification that lights all Earthly things. From this source emerge three beams, representing the desire of the members of the crew and the intention to successfully complete all upcoming tasks. 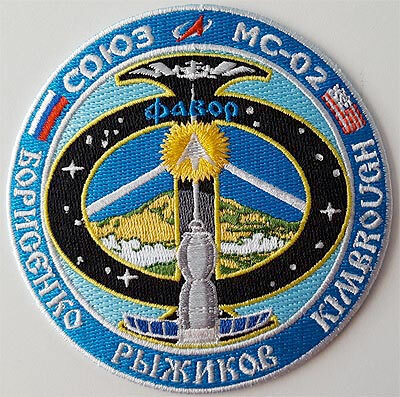 Mount Tabor is framed by the letter Ф ("F"), depicted in the form of an orbit, at the top of which is the International Space Station and at the base the Soyuz spacecraft. Inside the letter "F" are stars symbolizing the surrounding space and three stars symbolizing the crew, whose names are inscribed in a stylized font along the outline of the emblem with the state flags of Russia and the United States, the name of the ship Soyuz MS-02 and the logo of Roscosmos. Also inside the letter "F" is "Favor" — the crew call sign, the main symbol of the logo. 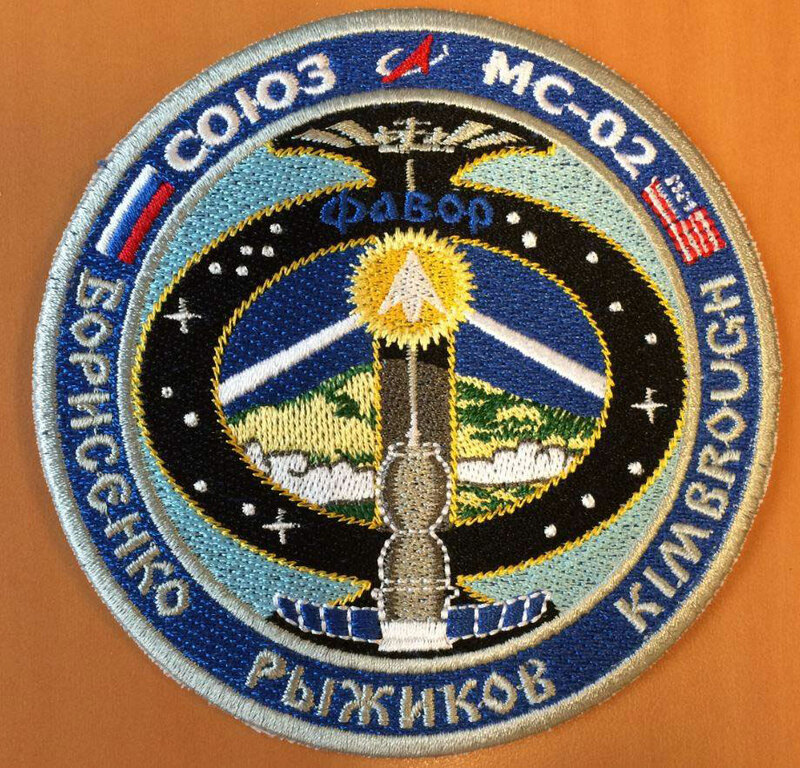 Patch designed by Ryzhikov together with Andrei Babkin. 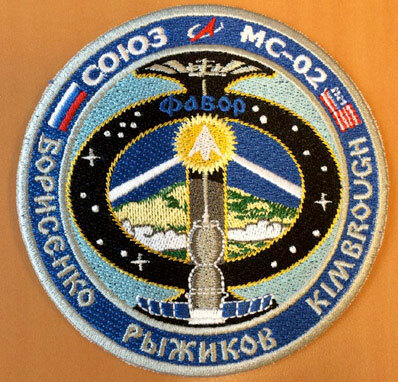 Copyright © Roscosmos/spacepatches.nl. 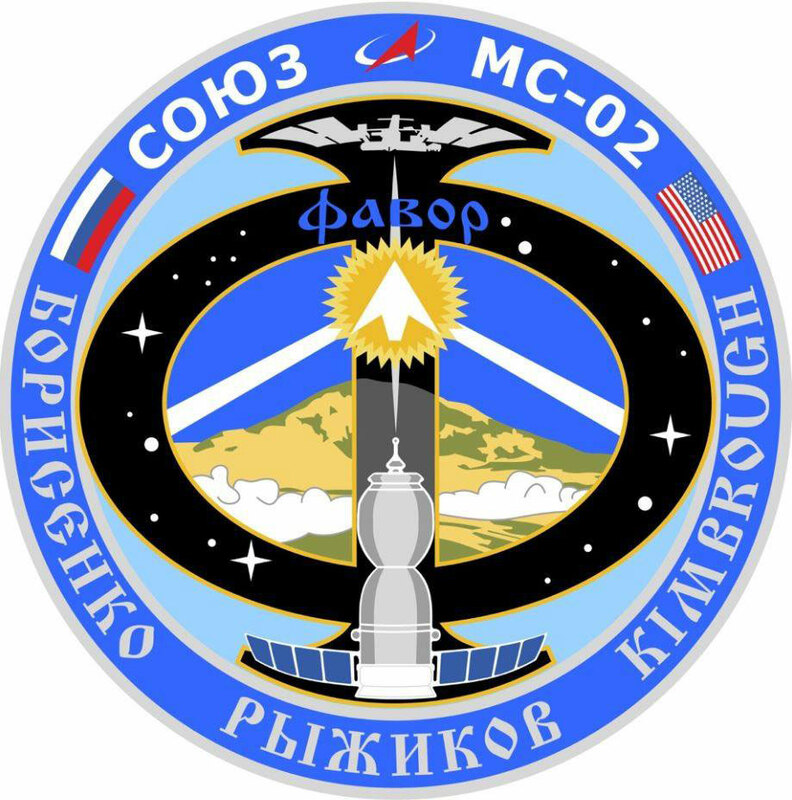 I like the idea to see the holy mountain through the black space... Before we had already protecting angel for the Soyuz TMA-15. It looks like the Soyuz vehicle is firing a laser at the space station. This time no flight magazines will be produced. Only table medals for the operational team and VIPs, 100 patches MS-02 and ISS-50 each and 50 pins of each still ordered by TsENKI. 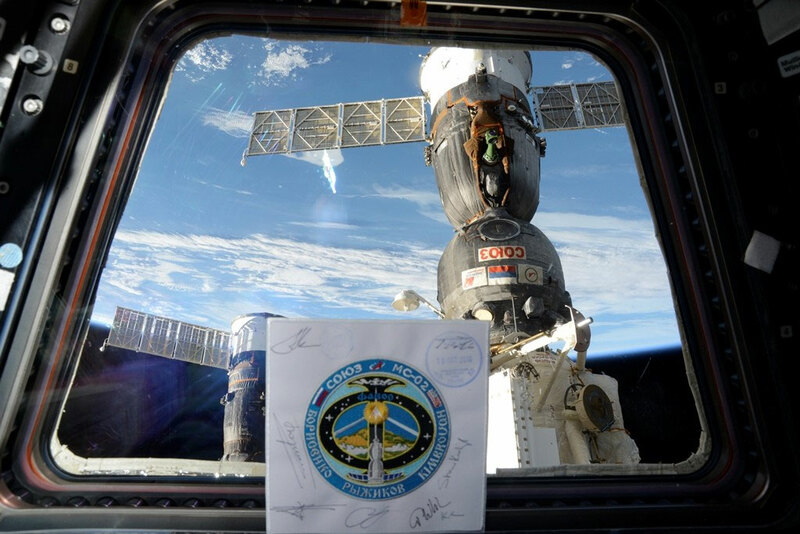 Patches ISS-50 and MS-02, only 50 of each, for NASA and VIPs. Flying Dutchmen, congratulations! One more patch of yours is on orbit now! Will post a photo of the prime and back up patch this weekend. 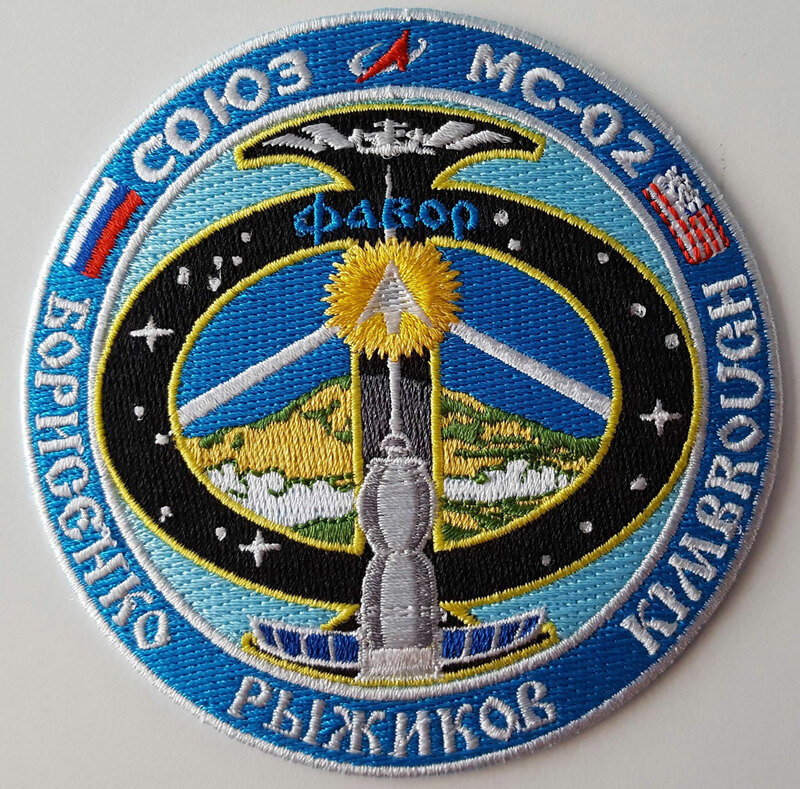 The official Soyuz MS-02 Prime and Back-up crew patch. 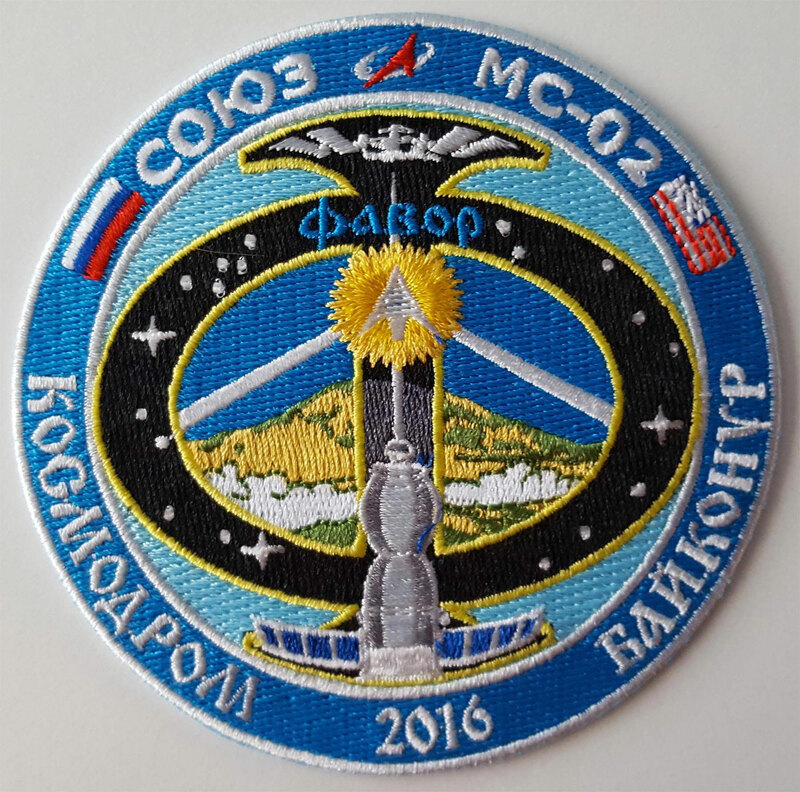 Does someone have the TsENKI version of MS-02 patch as well? I am eager to compare it with SpacePatches.nl version! The TsENKI version is not bright enough, but the quality is good! This photo I got from Sergei Rijikov. The panel is in the Cupola.